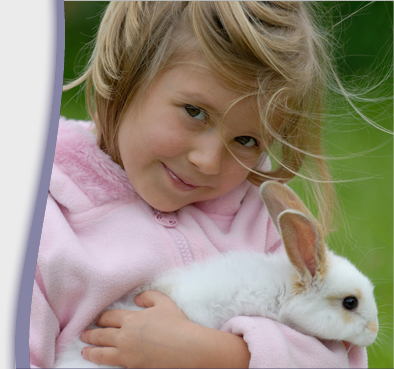 Compassionate care for your animal companion is the cornerstone of West Animal Clinic. We are dedicated to providing a relaxed experience for you and your pet at every visit. Whether it's a routine check-up or an emergency treatment, our staff responds quickly to your pet's needs and takes the time to explain examinations and procedures clearly before any treatments are given. Our comprehensive Pet Care Library. If you have questions, comments, or would like to schedule an appointment, please contact us today. We look forward to building a long relationship with you and your pet! Our clinic is an accredited member of the American Animal Hospital Association, AAHA, an organization of veterinary health professionals that strive to constantly improve pet health care. To be an accredited AAHA hospital member, our hospital must pass regular inspections and evaluations of the facility, equipment, and medical care delivery. The AAHA standards of excellence cover all areas of our hospital. We are proud to be an accredited AAHA hospital member. Only approximately 18% of the small animal facilities in North America can claim this distinction.